If you need seedlings all year round, you may think about adopting an indoor seedling system. 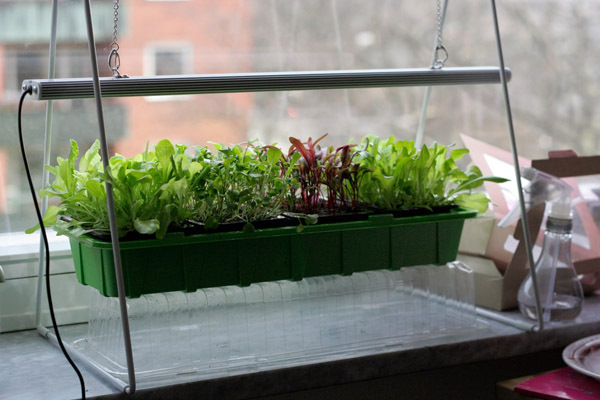 First, you have to find a linear lamp or bulb with even distribution of light to get regular seedlings, later you need to hang it on proper height and maybe need to adjust its height as seedlings grow. We thought all for you and present LUCIS! LUCIS is applicable to any kinds of plants' seedling, and its wide angle provides seedlings with even light. You will enjoy watching green seedlings grow day by day.